On Monday 28th August 2017, I escaped to Vis for the day with two girlfriends. It was a relaxed affair, beach, vino, and dinner at Konoba Roki’s. My two girlfriends and I escaped to Vis for two days this past weekend. The trip wasn’t about racing around and seeing as much as we could, it was more about relaxing and just taking it all in, which is exactly what we did. 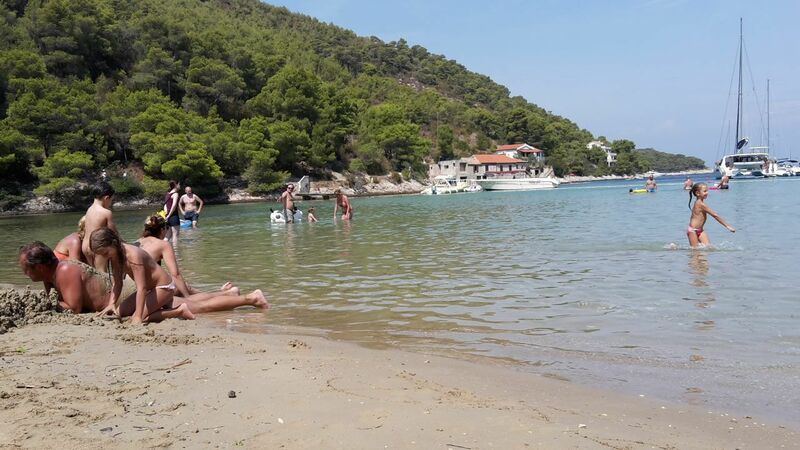 Spending the day in Stončica bay was just what we needed, a little piece of unspoilt heaven. Yes, there were other people, but it was mostly locals and families – no house music or drunken tourists, just people enjoying the water, children building sand castles… a return to innocence. 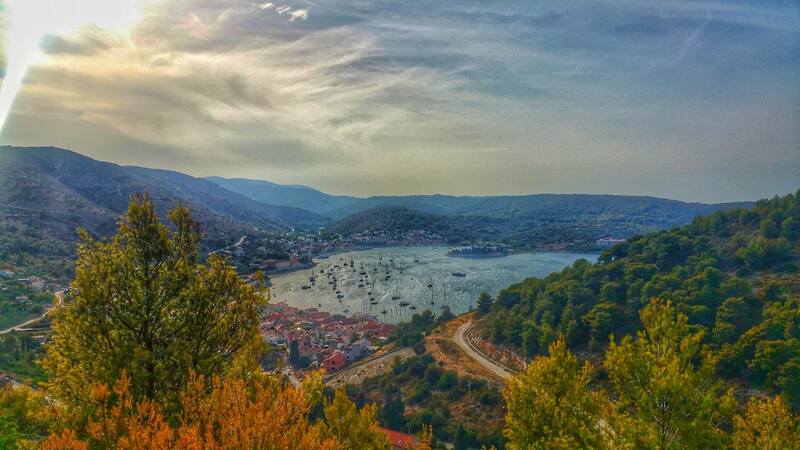 After a relaxed day at the beach, we made our way back to our apartment in Vis to get ready for the evening, but not before making the taxi driver stop, so we could take in this incredible view. 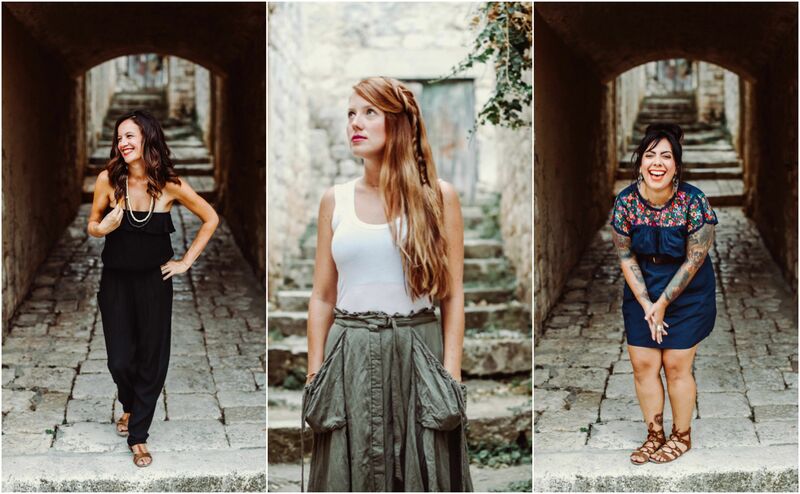 My two girlfriends just happen to be very talented humans, so we couldn’t resist a cheeky photo shoot in the idyllic streets of Vis before heading out to dinner (yes, it was clearly a girls weekend). 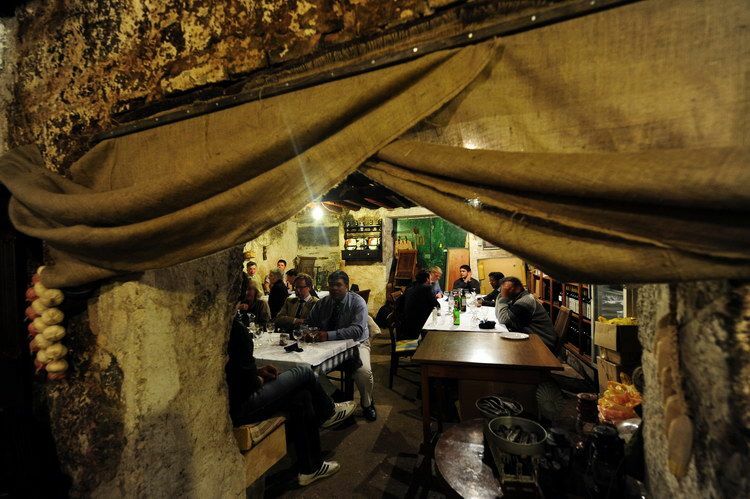 We had made a reservation at Roki’s Konoba and ordered a lamb peka, because – when in Croatia. When I worked on a yacht sailing Croatia, we always used to send our guests to Roki’s in Vis, yet, I had only been once myself a few years ago, so I was excited to return with good friends. b.) the soundtrack for the drive was the happiest playlist – how can you be upset when songs like Bill Withers ‘Lovely Day’ or ‘Don’t Worry be Happy’ are playing? Note: I doubt this was by accident, any wise hospitality person should know that the experience and particularly the mood can be set before one even steps foot into a restaurant. Roki’s is a family-run restaurant which was established in 1991, continuing a 200-year-old family tradition in wine production. They first began producing and selling their own wines, before setting up a tavern to accompany the wines. It is set in amongst fields, overlooking their vineyards, nearby an old WWII airstrip, turned Cricket field (the first cricket club in Europe, 1944). As we entered the tavern we were greeted by the heavenly scent of slow-roasting lamb and smoke. 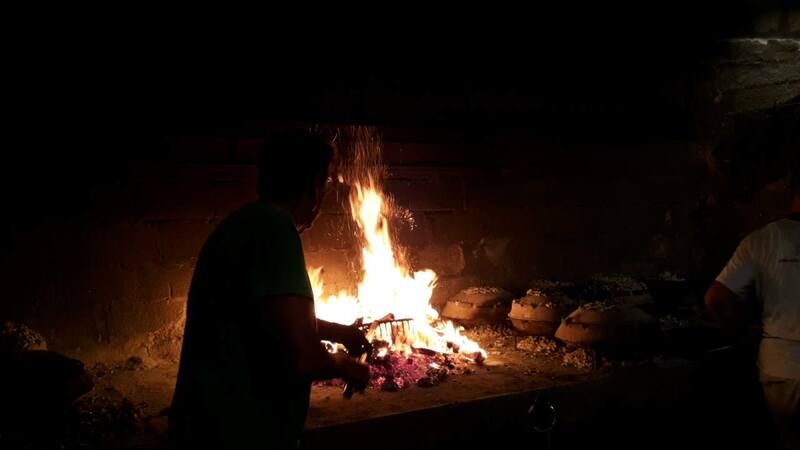 They have a huge, open fire-pit, where at least 8 pekas were cooking under the burning embers, manned by two. We were first explained what peka is before we were taken to our table. The tables are spaced generously apart, so even though there were other patrons and one large group, it still felt intimate. 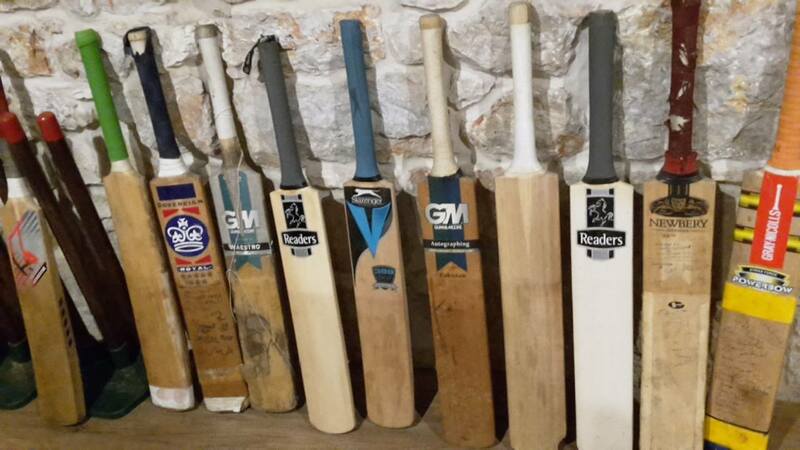 The inside of the Konoba is a quaint setting, with a few tables, wooden bar and cricket memorabilia lining the walls – as Roki’s is one of the main sponsors for the famous cricket match that takes place every year. The storm clouds were no longer just an idle threat but looked ready to burst any second – flashes of lightening and booming thunder announcing the imminent arrival of rain. It was still a balmy summer night though, so when offered a table inside, we decided to risk it and stay seated out. We had already ordered the lamb peka and even though I am usually all about food, we decided not to go for entrees so we could savour the goodness that was on its way. 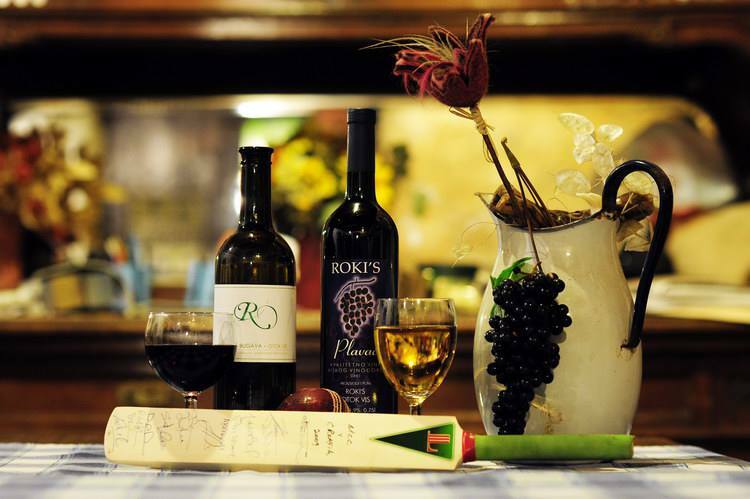 Roki’s serves its own wine, so we ordered their Plavac Mali because slow-cooked lamb deserves a good glass of red. But first, we were given a welcome glass of rakija. As we didn’t order starters, our peka was served immediately, and, it was divine. 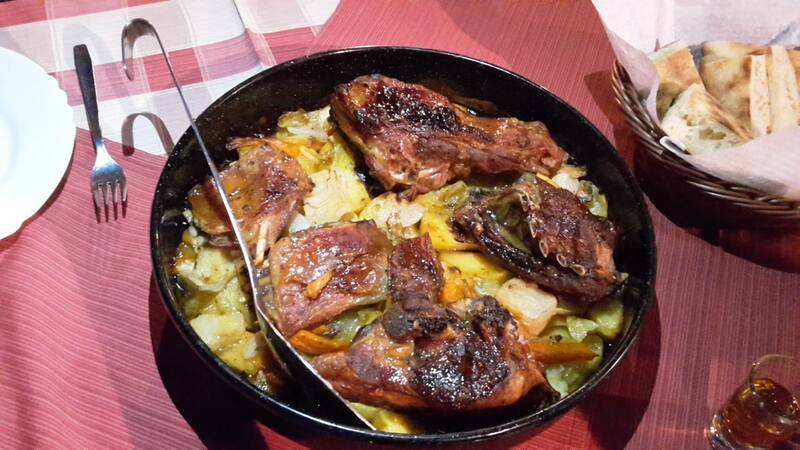 The lamb melted off the bone and was good quality – sometimes when you order a peka, you are at risk of getting more bone and fat than actual meat. This wasn’t the case. If you haven’t had peka before, it’s not all about the meat either, the potatoes and vegetables have been slow cooking and soaking in all of the juice and olive oil so are almost a meal in themselves. We savoured every mouthful. The first few raindrops began to fall as we were still eating, while some moved inside, we decided to stay seated – when was the last time you sat in the rain? If I wasn’t there with two of my girlfriends I would say it was almost romantic. Eventually, the rain got heavier, forcing us to abandon our table but rather than moving inside, we still found another table nestled under a large tree, which served as enough protection – while all other patrons and staff were scrambling around, we sat and enjoyed the scene. We ordered a chocolate-carob cake and one more bottle of red to finish off the evening. The service was friendly and attentive, the food was gorgeous and the ambiance relaxed – there was no music, only the sound of the fire crackling, cicadas and soft conversation filled the air. The only downside to the night (if I can call it that) – was a group from Yacht Week, who decided to take over our table at the end of the night. To their credit, they hadn’t been rowdy throughout the night, but they were all extremely drunk and we weren’t in the mood to answer the same inane questions from them over again, so we got the bill, paid and left. Besides this, it was a perfect evening and I would easily recommend it to anyone, from couples to families and large groups. For more information, visit Roki’s official page here.